Pre-order the career-spanning 40th anniversary CD or Vinyl Box Set now. Includes 16 albums + exclusive bonus material. Due to nature of product and contents, both boxes will ship via courier service and incur an insurance charge. This will be reflected in the shipping & handling price. To celebrate this extensive and ambitious tour, Killing Joke announce the release of the career spanning strictly limited edition flight case, which includes: 16 coloured double vinyl LPs, a set of headphones, a signed lyric book and assorted pieces of art. The collection will also be available on CD. And when they said 'special', man did they mean it! These are beautiful. As it says below - the newly remastered albums are presented as 7" hardback books, packed with pictures, notes and interviews. It's obvious that a lot of love and care went into these. Kudos to Jon Wozencroft on the design and execution. Please support the band by purchasing the sets from their website, PinkFlag. "Wire’s first three albums need no introduction. They are the three classic albums on which Wire’s reputation is based. Moreover, they are the recordings that minted the post-punk form. This was adopted by other bands, but Wire were there first. These seminal albums are now getting the definitive re-release treatment, in a format owners of the Silver/Lead and Change Becomes Us special editions will already be familiar with. Each album is presented as an 80-page hardback book – the size of a 7-inch, but obviously much thicker. After a special introduction by Jon Savage, Graham Duff provides insight into each album. These texts include recording details, lyrics, and brand-new interviews with Colin Newman, Graham Lewis, Robert Grey and Bruce Gilbert. The original album is presented on its own CD, and is accompanied by additional discs that feature relevant extra tracks: singles; B-sides; demos; and many previously unreleased songs. Pink Flag is a two-CD set; Chairs Missing and 154 have three CDs each. All audio has been painstakingly remastered – or, in some cases, mastered for the first time! This stunning set of presentations includes a range of images from the archive of Annette Green. Wire’s official photographer during this period, Green also shot the covers for Pink Flag and Chairs Missing. Promotional and informal imagery – in colour and black and white – is featured throughout the books. Most of the photographs have not been seen for 40 years – and many have never been published anywhere before. These special editions are something every Wire fan will want to own. Please note: although the three original albums remain available through digital stores and streaming services, the extra tracks from the special editions will not be released digitally." I saw them live in a tiny basement venue on Saturday. It was a joyous (if rather sweaty) experience! What a fun album! Between the tongue-in-cheek lyrics and the (sometimes) comic attempts to sing harmony, it almost has a Soft Boys feel. As played by The Fleshtones maybe. (There are probably better comparisons, but you know the better part of me is stuck in the late 70's/early 80's.) Actually, there's a surprising amount of variety on the album. I love the way both the guitars and the keyboards growl, but there are acoustic and keyboard breakdowns as well. And they explore several styles along the way. Now I need to check out their other releases. Why can't I buy the album on their Bandcamp page? Good question, John. I have messaged them on Facebook to find out how to buy the album other than via Amazon. It looks like they have a shop link on Facebook, but I can't figure out how it works. I would recommend starting with Je m'Appele Stereo and Spectrumatronicalogical Sounds. BMG are delighted to announce the release of the Uriah Heep anthology, ‘Your Turn To Remember: The Definitive Anthology 1970-1990’ on LP. Evoking an era when prog, hard rock and heavy metal co-existed in an era of glorious, boundary-breaking music, the songs trace the evolution of Heep from inexperienced studio musicians with everything to prove to bona fide, limo inhabiting rock stars. The Anthology cherry picks tracks from some of Heep’s most celebrated albums including ‘Demons And Wizards’, ‘Look At Yourself’, ‘Return To Fantasy’, ‘Equator’, ‘Conquest’ and ‘The Magician’s Birthday’. -Continues the extensive anthology / reissue programme curated by Heep’s founder member Mick Box. -2LP anthology including the classic hits and must have album cuts from the band’s most creative period. -Re-mastered by renowned engineer Andy Pearce of Lou Reed and Black Sabbath fame. They're also re-releasing a deluxe vinyl edition of Look At Yourself. Uriah Heep are still going strong. I saw them during the Wake the Sleeper tour. (Eek! almost 10 years ago now ) Damned good live. Before the show, they had a meet and greet at a local pub. Got to meet them all and get autographs. I missed them last time because we were travelling. They will be playing here in the fall with the Zombies (Blunstone/Argent). We will probably go. Sure there must be some Shorter fans around these parts? Picked up this wonderful news from another forum. 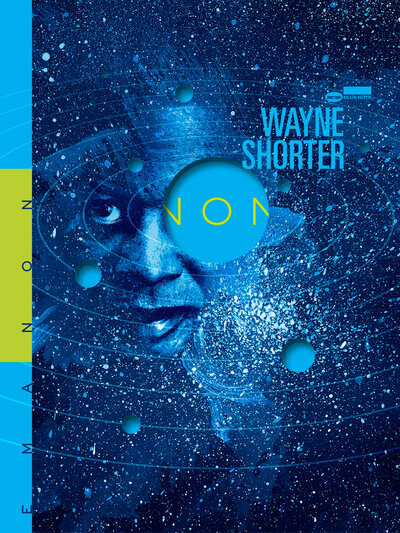 Huge Wayne Shorter fan, but I'm sorry to say I'm unfamiliar with most of his recent stuff. I got bit big time when he was with Weather Report. Then explored his solo albums. An astounding talent. Tempted by the new disc, just completely out of scratch.